MONTEBELLO >> A Montebello domestic violence suspect who allegedly bit and choked his girlfriend, suffered a broken arm while fleeing police and escaped from a hospital where he was brought for treatment and psychiatric evaluation turned himself in early Sunday, officials said. Conrado Ferrer, 23, got into a fight with his girlfriend about 1:10 a.m. Saturday, said Montebello police Detective Paul Antista. “During the altercation, suspect Ferrer bit his girlfriend on her finger, pushed her to the ground causing her to hit her head on a block wall and then began choking her,” the detective said. Someone in a passing vehicle called police, but Ferrer fled when they arrived, Antista said. As he tried to escape, Ferrer jumped from an apartment building roof and broke his arm, the detective said. Once in custody, he said he wanted to kill himself, Antista said. Ferrer was brought to Beverly Hospital for treatment of the arm injury and a psychiatric evaluation, but at 5:19 a.m. he bolted from the hospital while receiving X-rays, wearing only a hospital gown, police said. A search proved fruitless, and police sought the public’s help in finding Ferrer. 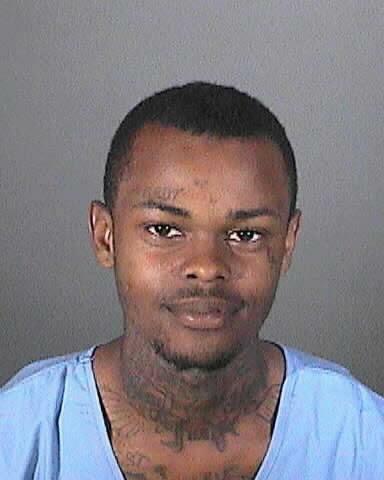 He showed up at the Montebello Police Department early Sunday morning to turn himself in, Lt. Rick Rojas said. “His family talked him into surrendering,” he said. City News Services contributed to this report. ARCADIA >> Police are investigating a Sunday morning shooting in a residential neighborhood that left an Arcadia man dead, authorities said. The shooting took place about 9 a.m. in the 1000 block of South 5th Avenue, just south of Duarte Road, Arcadia police Lt. Mike Castro said. Officers responded to a call reporting a “loud bang” and a “person down” to find a man wounded by gunfire, the lieutenant said. He was taken to an area hospital where he succumbed to his injuries a short time later. The victim had been walking down the street when he was shot, Castro said. No further details regarding the circumstances of the shooting were released, and no suspect description was available. Officials withheld the victim’s name pending notification of his family, Los Angeles County coroner Investigator Kimberly Arnold said. He was initially described as an Arcadia man in his mid-50s. Police kept 5th Avenue closed between Duarte Road and Leda Lane well into the afternoon as authorities continued their investigation. 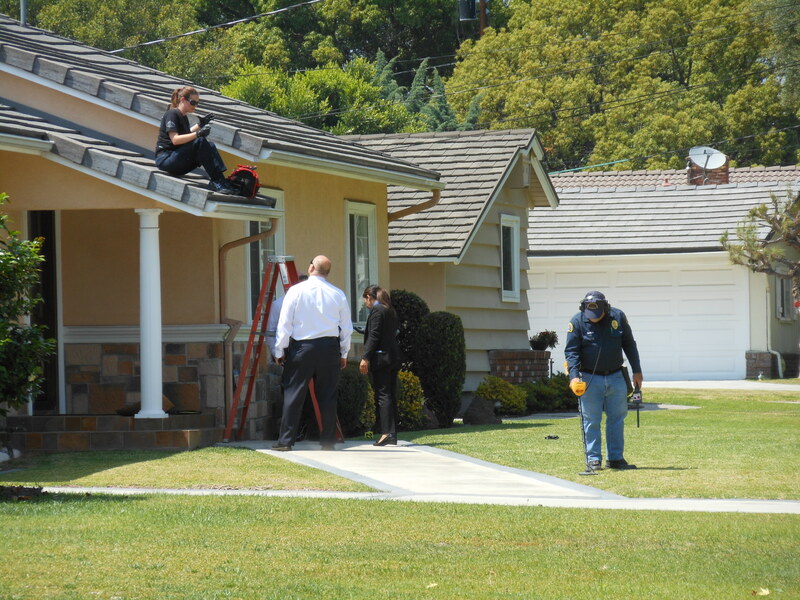 Crime scene investigators scoured the front yard of a home with metal detectors, while another climbed onto the roof to search for clues. Neighbors traded pieces of information they’d heard about what had taken place in the generally quiet and uneventful street. Though she lives only a few houses away from the shooting scene, Sherry Xi, 44, said she heard no gunshots or commotion Sunday morning. And while the neighborhood has seemed to see an increase in burglaries in recent years, she said, news of a fatal shooting came as a shock and left her nervous. 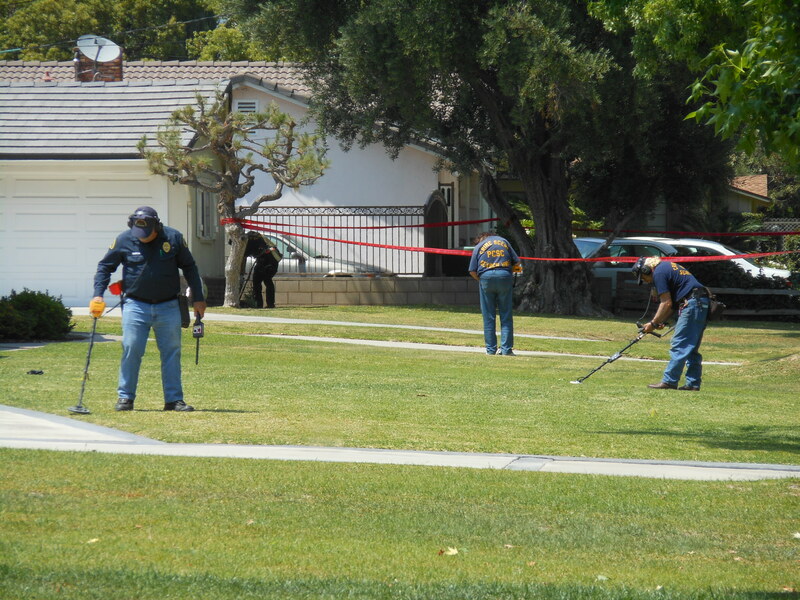 Anyone with information can reach Arcadia police at 626-574-5150. Tips may also be submitted anonymously to L.A. 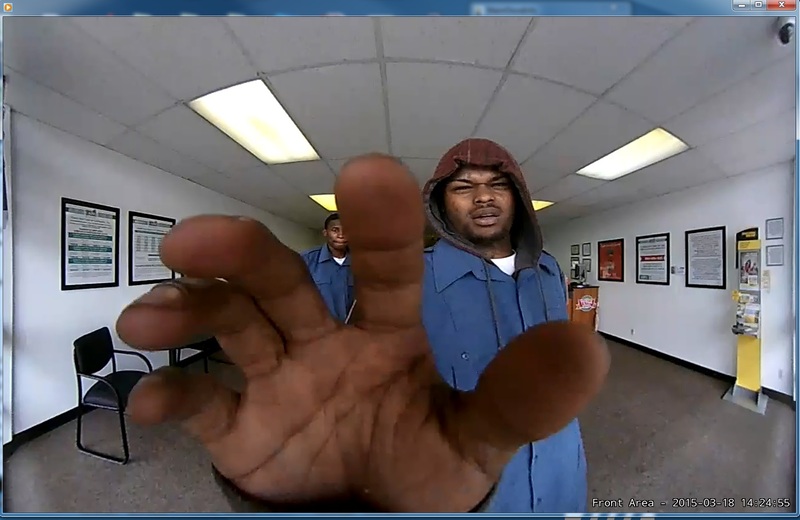 Regional Crime Stoppers at 800-222-8477. LOS ANGELES >> A federal trial in which the government is seeking to seize control of the logo of the Mongols Nation Motorcycle Club scheduled to begin this week has been delayed after the presiding judge pulled himself from the case last week. Judge Otis Wright II recused himself from the case earlier this week, according to attorney Joseph Yanny, who is representing the Mongols. Yanny and his clients have asserted for more than a year that Wright should be removed from the case for his removal for months, arguing the judge had demonstrated a bias against the motorcycle club, which prosecutors have labeled a criminal enterprise. The decision came more than a year after Mongols attorneys filed a motion seeking a new judge in the civil case. “It’s not that we disrespect Judge Wright, I just think it’s better for everybody the way this is going,” Yanny said. The case was reassigned to Judge John A. Kronstadt. A hearing in the case is scheduled for June 4 in federal court in Los Angeles. It was not clear when the trial, which was previously scheduled to begin Tuesday, will take place. Yanny said Wright has made statements indicating he has a bias against the Mongols. And it was Wright who first suggested to prosecutors to go after the Mongols’ logo. U.S. Department of Justice officials previously declined to discuss the motion seeking Wright’s removal from the case. “I think this is going to be a vast improvement for us. I could be wrong, but i think we’ll get a fair trial this way,” Yanny said. U.S. Bureau of Alcohol, Tobacco, Firearms and Explosives officials maintain that the Mongols are not merely a club, but a criminal organization linked to drugs and deadly violence which uses its trademark for intimidation. Federal officials have argued that move to seize the Mongols’ logo is intended to prevent violence. Yanny said the members involved in the 2008 indictment are no longer members of the Mongols, and that the government was seeking to punish the entire organization of more than 700 bikers based on the actions of a small proportion of members. Furthermore, Mongols fighting in court to save their “patch” have argued in legal documents that their logo is not a trademark, such as those used by businesses, but rather represents a “collective membership mark,” amounting to protected speech under the First Amendment. EL MONTE >> Police wrote more than 140 tickets to drivers this month as the department cracked down on distracted driving, officials said. Throughout May, El Monte police joined other law enforcement agencies nationwide in devoting extra attention to distracted driving enforcement. Funding for the campaign was provided by a grant from the California Office of Traffic Safety, through the National Highway Traffic Safety Administration. 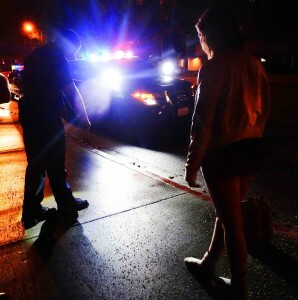 GLENDORA >> Police made seven arrests during a checkpoint in Glendora late Friday, including two drivers suspected of having blood-alcohol levels more than twice the legal limit, police said. The sobriety and driver license checkpoint took place from 7 p.m. Friday to 3 a.m. Saturday along Grand Avenue, just north of Gladstone Street, Glendora police officials said in a written statement. In addition to the two DUI arrests, police arrested four people for driving without licenses and one woman for an outstanding arrest warrant, as well as possession of brass knuckles, Lt. Matt Egan said. A total of 1,700 vehicles passed through the checkpoint, police said. Police wrote 20 tickets and impounded 14 cars. PASADENA >> Police are seeking a suspect or suspects who used a BB or pellet gun to damage about 30 cars late Friday window in a vandalism spree in a residential neighborhood, authorities said. Most of the vehicles had windows shattered when the unknown vandal or vandals used the 1200 block of N. Mar Vista Avenue as an air gun shooting gallery about 8:45 p.m., Pasadena police Lt. Jason Clawson said. The window of a business in the 300 block of East Orange Grove Avenue was also broken by an airgun. The BBs or pellets were fired from a passing vehicle, described only as white, Clawson said. Investigators continued seeking witnesses and any surveillance camera footage from the area that may provide clues, he added. 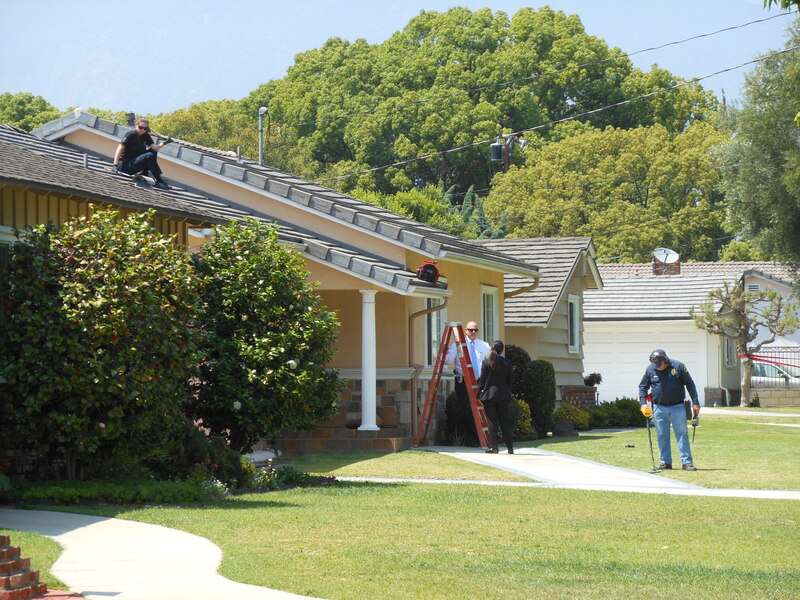 At least a dozen other incidents of large-scale BB or pellet gun vandalism sprees have been reported in the west end of Pasadena in recent months, Clawson said. It was not clear Saturday whether the series of incidents were related. NORWALK >> Deputies checking on a report of a suspicious van discovered the body of a man inside the vehicle in the parking lot of a Norwalk clothing store Friday, officials said. The discovery was made shortly after 5 p.m. in a van parked outside T.J. Maxx, at Firestone and Pioneer boulevards, Los Angeles County sheriff’s Lt. Eric Smitson said. A witness called authorities to report that a van had been parked in the lot for several days and was emitting a foul odor, the lieutenant said. Deputies opened the van to discover the body of man in the rear portion, he said. It initially appeared the man may have been living out of the van. 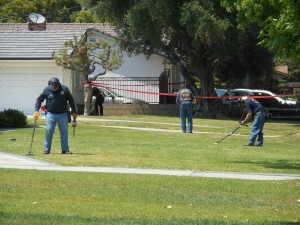 Homicide detectives responded to the scene to take over the investigation, Smitson said. It was not initially clear whether or not the death may have involved foul play. Anyone with information can reach the Sheriff’s Homicide Bureau at 323-890-5500. COVINA >> One of two men police say dressed as security guards when they carried out a takeover robbery at Covina check cashing business in March was behind bars Friday as police continued seeking his alleged accomplice. Police found and arrested Brian Lamar Lemle, 27, of Los Angeles, a documented Crips gang member, at a Los Angeles Park late Thursday in connection with the March 18 robbery at Check Into Cash, 517 N. Azusa Avenue, Covina police Sgt. Gregg Peterson said. Investigators had been seeking him for several weeks, ever since facial recognition computer software helped identify him as a suspect in the Covina crime, the sergeant said. Lemle and another unidentified suspect wore security guard uniforms and brandished handguns when they entered the business, Covina police said in a written statement. 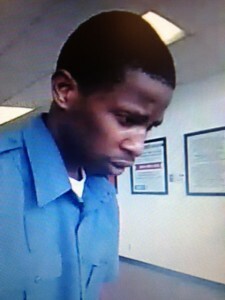 The crime was captured on surveillance video, which police used to generate wanted fliers with the suspects’ photos for distribution to other area law enforcement agencies, Peterson said. Facial recognition software was able to match surveillance footage to a possible suspect, Lemle, earlier this month, he said. Officers from the Los Angeles Police Department’s 77th Street Division found and arrested Lemle Thursday night at a park, Peterson said. He was turned over to Covina police, who booked him on suspicion of robbery once witnesses identified him as one of the robbers. Additional charges, such as robbery, may also be sought against Lemle. The second suspect in the robbery remained at-large. According to county booking records, Lemle was being held in lieu of $50,000 bail pending his initial court appearance, scheduled Tuesday in West Covina Superior Court. PASADENA >> Police are seeking two attackers who wounded a man in a car-to-car shooting in Pasadena late Thursday, officials said. 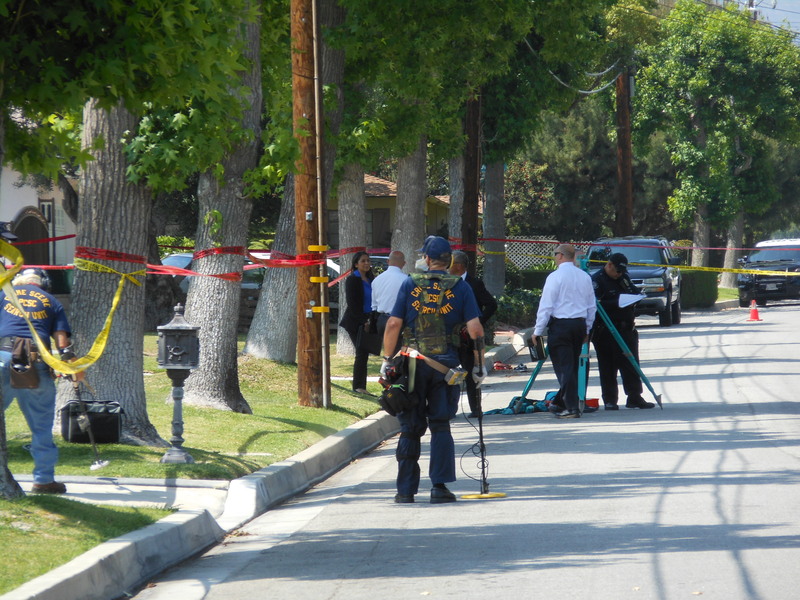 The shooting took place about 10 p.m. at Orange Grove Boulevard and Marengo Avenue, Pasadena police Lt. Vasken Gourdikian said. The victim, a man in his 20s who was not believed to have gang ties, was driving when he was confronted by two suspects described only as male who were in a gray, mid-2000s-model Chevrolet Tahoe SUV, the lieutenant said. Gourdikian said the two suspects asked the victim, “where he was from,” a common gang challenge, before opening fire from within their SUV. 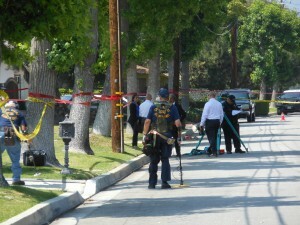 Though wounded in the upper torso, the victim managed to drive himself to nearby Huntington Hospital, Gourdikian said. His injuries did not appear to be life-threatening. PASADENA >> Pasadena fire officials and Huntington Hospital staff will be offering free, potentially life-saving training in “Hands-Only CPR” to the public next week at the Paseo Colorado, officials said. The demonstrations and training will take place from 10 a.m. to 2 p.m. Thursday in the courtyard of the Paseo Colorado, 300 E. Colorado Blvd., according to Pasadena Fire Department spokeswoman Lisa Derderian. The event coincides with National CPR Week. Instructors will demonstrate proper techniques in about 15 minutes, and participants will be invited to practice on mannequins, Derderian said. The training will not results in CPR certification, however information on how to become CPR certified will be available. American experience nearly 300,000 out-of-hospital, sudden cardiac arrests annually, Derderian said. Only 32 percent of them receive CPR from a bystander, which can double or even triple a victim’s chance of survival. “Anyone can learn CPR — and the American Heart Association believes that everyone should,” Derderian said. “Sadly, 70 percent of Americans may feel helpless to act during a cardiac emergency because they either do not know how to administer CPR or their training has significantly lapsed. “This alarming statistic could hit close to home, because home is exactly where 80 percent of cardiac arrests occur. Put very simply: The life you save with CPR is mostly likely to be someone you love,” Derderian said. For more information, contact Derderian at 626-744-7276.